Combining the very best aspects of accessibility and reliability, the Honeywell Lyric Wi-Fi Water Leak and Freeze Detector utilizes a simple DIY installation process and will alert homeowners at the first sign of a leak. The unchecked presence of a leak or drip can quickly escalate into disaster. This can often entail flooding damage that may lead to widespread destruction of personal items in the surrounding area. 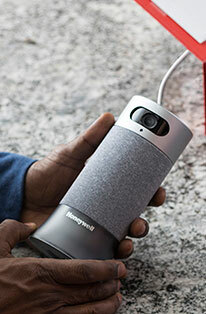 The Honeywell Lyric Wi-Fi Water Leak and Freeze Detector ensures the maximum in peace of mind by affording homeowners the luxury of being swiftly alerted to the first sign of a leak. The DIY installation process of the Lyric Water Detector is accompanied by a free Honeywell Lyric app. This app includes step-by-step instructions that cover all of the necessary information needed for a quick and seamless setup. Accessibility is further showcased with the ability to connect the Lyric to standard Home Wi-Fi directly. This removes the dependence of a separate HUB or base station. 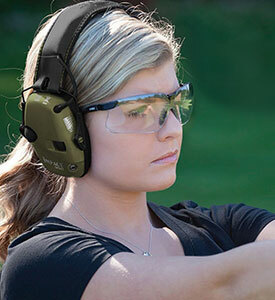 The inclusion of both mobile and audible alerts ensures unparalleled coverage. Mobile alerts will keep owners informed via text message regardless of setting, while audible alerts will readily alert the surrounding area with an industry leading 100 dB buzzer. The Lyric Water Leak and Freeze Detector can also be linked to family members, friends and trusted neighbors. This further reinforces peace of mind as homeowners will have yet another means of monitoring their household while they're away. The Honeywell Lyric Water Detector can conveniently be placed near sinks, washers, water heaters, sump pumps or any other high-risk location for water leaks. The Lyric Water Detector dismisses a reliance on cords for power in exchange for battery powered operation. Not only does this open a wealth of options for users to explore when integrating their water detector, it entails 3 years of steadfast performance. The inclusion of a Honeywell Water Cable Sensor for Lyric Wi-Fi Water Leak and Freeze Detector affords owners increased coverage. Additional cables can be implemented to extend the overall sensor length to 500 ft. 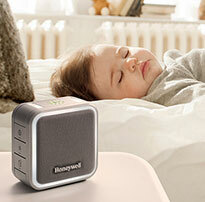 The Honeywell Lyric Water Detector also comes equipped with temperature and humidity sensing. The Lyric's sensors can successfully record the temperature and humidity levels of the monitored area. The Honeywell Lyric Wi-Fi Water Leak and Freeze Detector provides the ultimate in reassurance. Regardless of where life takes you, you'll always have immediate access to a detector that's capable of alerting you or your loved ones. 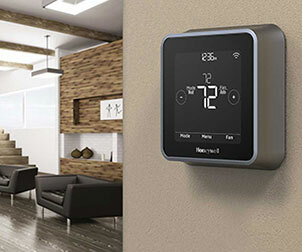 The Honeywell Store also features the Honeywell Lyric Round Wi-Fi Thermostat that allows for the very same increased flexibility in a thermostat setting.